Ferris wheel illustration, inspired by the Daikanransha (だいかんらんしゃ・大観覧車) from Odaiba, Tokyo. 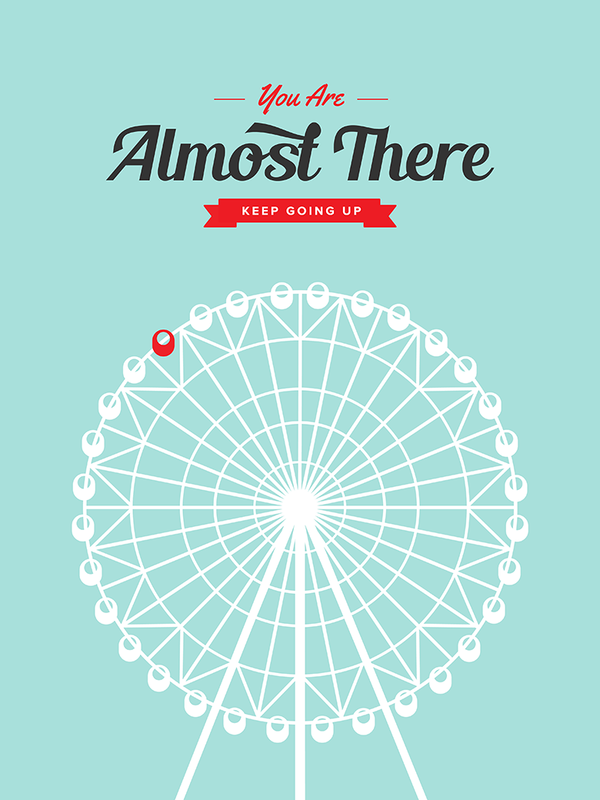 It features an encouraging phrase: “You Are Almost There. 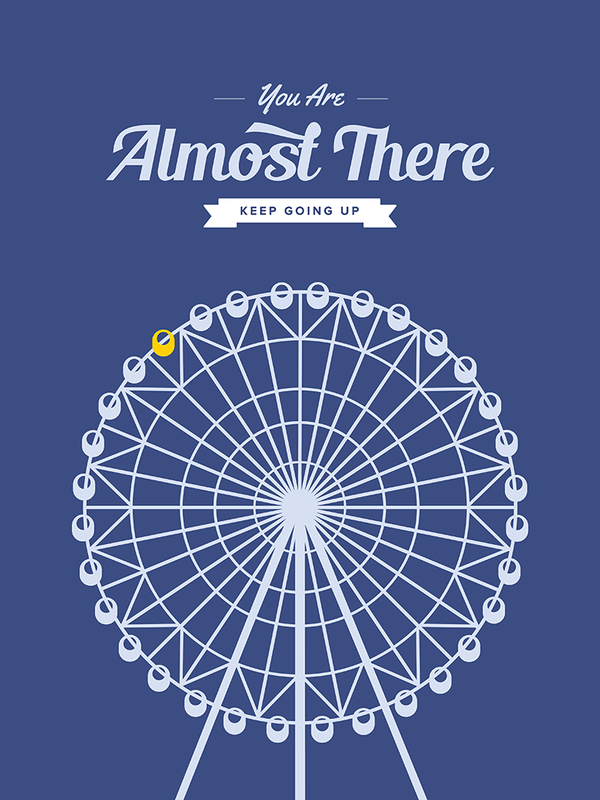 Keep Going Up” set in retro style typography. It is all about reaching your goals and aspirations. This print is a great graduation present or a gift for a friend or a family member who is on the right track of achieving their goal or a milestone.